The third edition of this well established introduction to building fire safety explains from first principles the basic strategies of fire-safety design available to the building and construction professional. Providing an introduction to the theoretical basis of fire-safety engineering and fire-risk assessment, it will enable the design team to consider alternative methods of achieving fire safety. It concludes with a fully up-to-date review of current information, legislation, British Standards, further reading, guidance and sources of specialist advice. 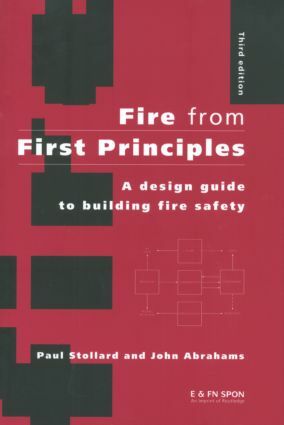 Fire from First Principles is particularly appropriate for students of architecture and building, with its series of basic tables containing sufficient detailed information for them to apply the principles to design projects. As well as serving designers, this book is an ideal basic text for those in the statutory building control and fire brigade authorities who have to enforce the legislation.